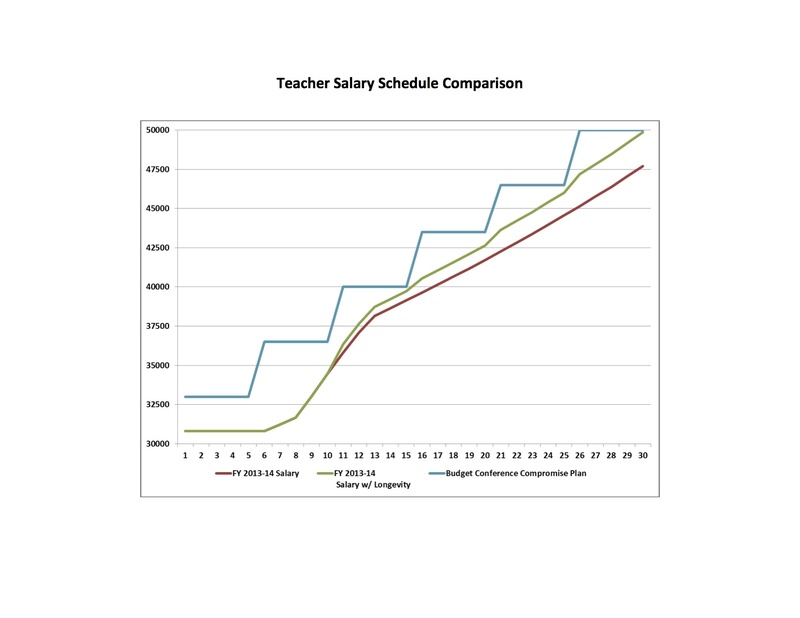 There has been a lot said about the teacher pay proposal. Perhaps a picture will make it clearer. 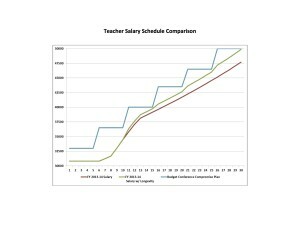 This chart shows only the base state salary. It does not include the NBPTS certification of 12%. It does not include the Master’s Degree Supplement of 10%. It does not include the local supplement which in Catawba County in 2013-14 was 7%.